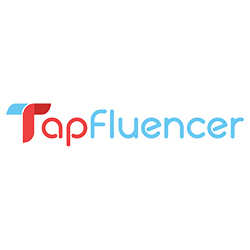 Summer is a season when kids are out of school and either stay at home to play game consoles or are enrolled in summer workshops to keep them busy and make the school break less boring. But admit it loves, most of the summer activities are quite expensive. One more thing is, yes, they stay home but when they are always glued to the television or to the computer or tablets which worries me knowing that studies had shown the negative effects of these technologies to their brain development and attention span. Sadly, both summer activities are things they do on their own, not as a family. 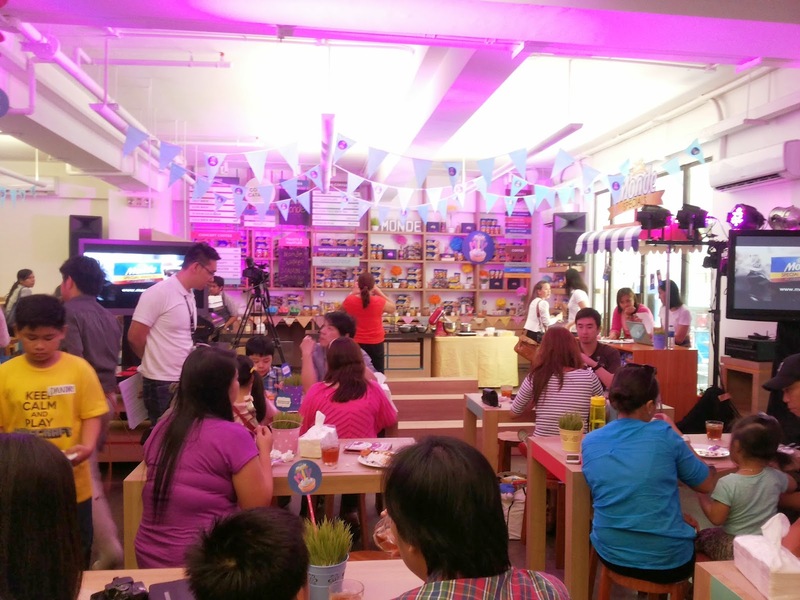 Buti na lang, I recently discovered an activity that we could engage our kids in to keep them busy, one that will also nurture creativity, one that is fun and the best thing is, it could be a home family bonding activity! It's called the Mamon-It-Yourself (MIY), a Mamon Decorating activity popularized by Monde Special Mamon! 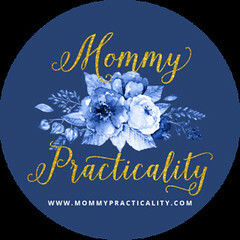 It's a great family bonding experience and for me, a healthier and more practical way to keep our kids busy this summer. 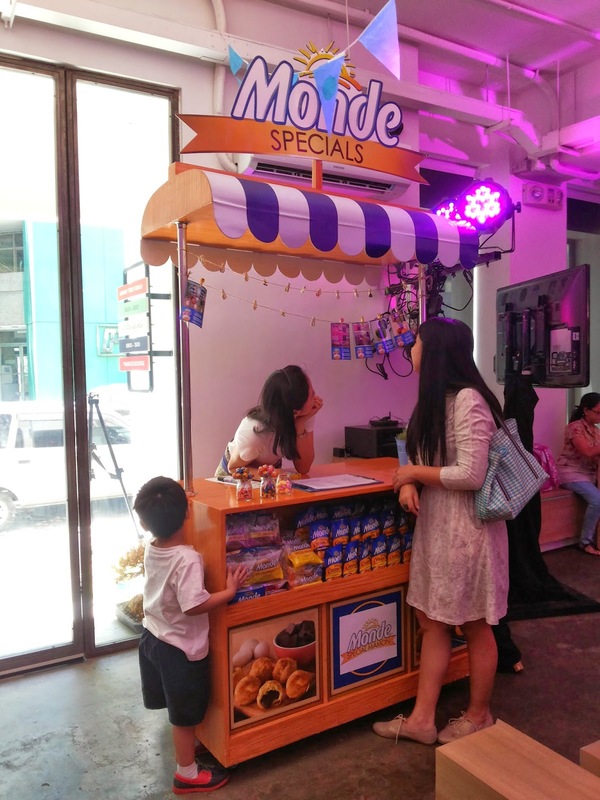 I'm happy to be one of the first few who witnessed how fun and interactive the Mamon-It-Yourself family-bonding activity is by Monde last April 5 at the Yardstick Coffee shop in Makati City. 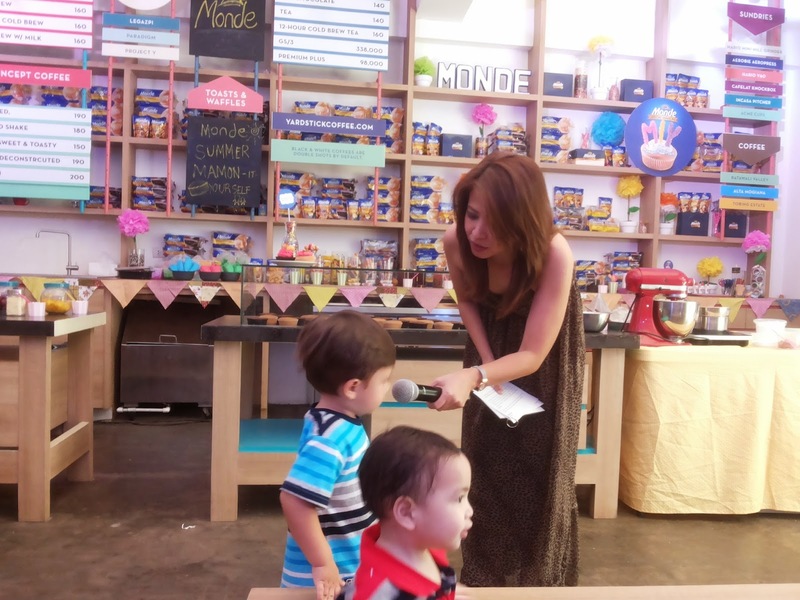 The event was hosted by the witty and lovely Delamar Arias, co-hosted by her cute son Cooper! :) Del (feeling close!) 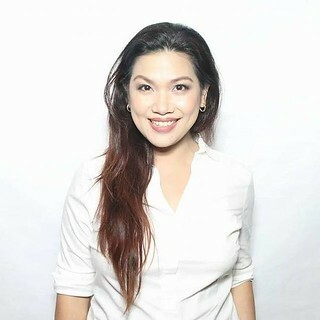 recalled how she's always been interested in baking or cooking with her mom when she was younger and that the Mamon-It-Yourself activity is something that our kids could remember as a bonding activity in the kitchen. 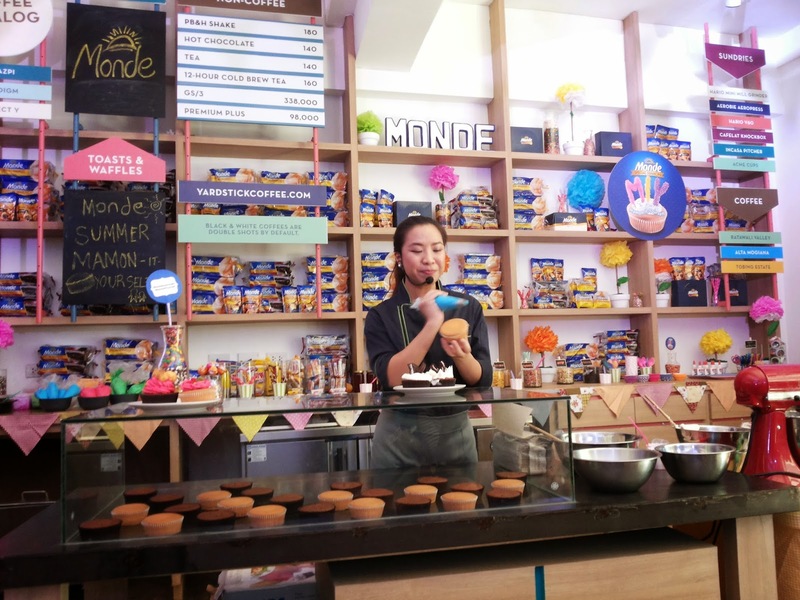 One of the most sought-after and in-demand chefs in the country, Chef Mitchie Sison demonstrated how mommies like us could easily prepare frostings which we could put on top of our Monde Special Mamons for our MIY activity. Most of the time, we're intimidated at the sound of butter or royal frostings right? She demonstrated not just one, but three frosting recipes such as: Cream Cheese with Bacon, Swiss Butter Cream and Cookies and Cream. 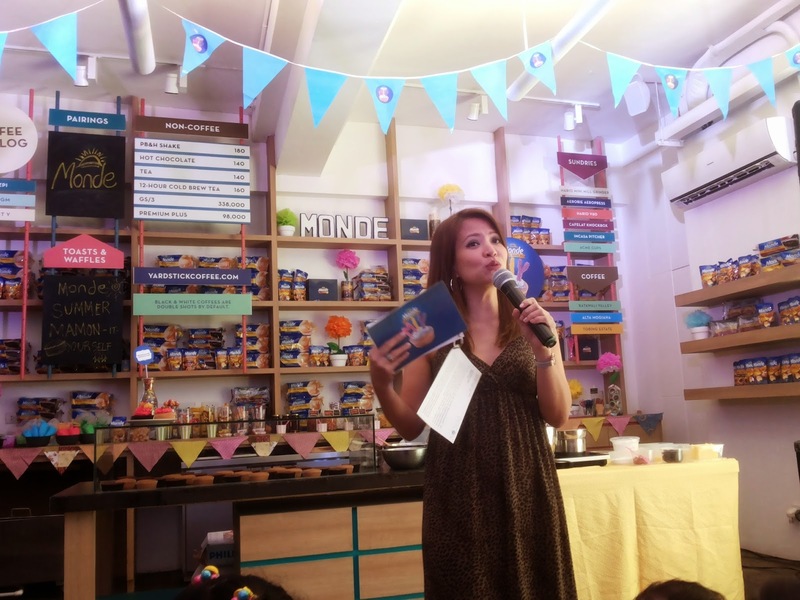 She even gave tips on baking which we could try at home plus how to artistically pipe the frosting onto our mamon. 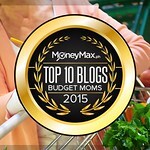 It was also very interesting to see Grace of the blog The Spoiled Mummy to share her three MIY recipes! They were all nutritious and delish! 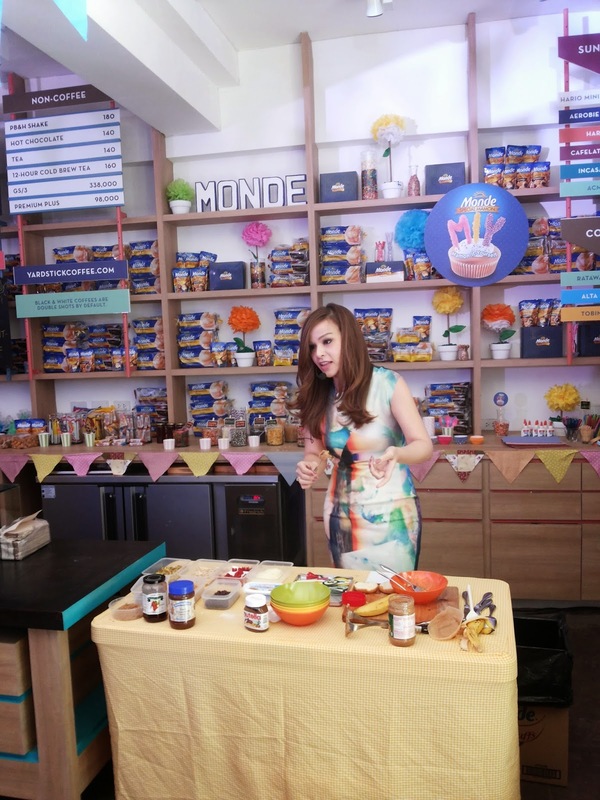 But my favorite of all was her The Spoiled Mamon recipe which is composed of all her favorites: Peanut Butter, Chocolate and Strawberry! 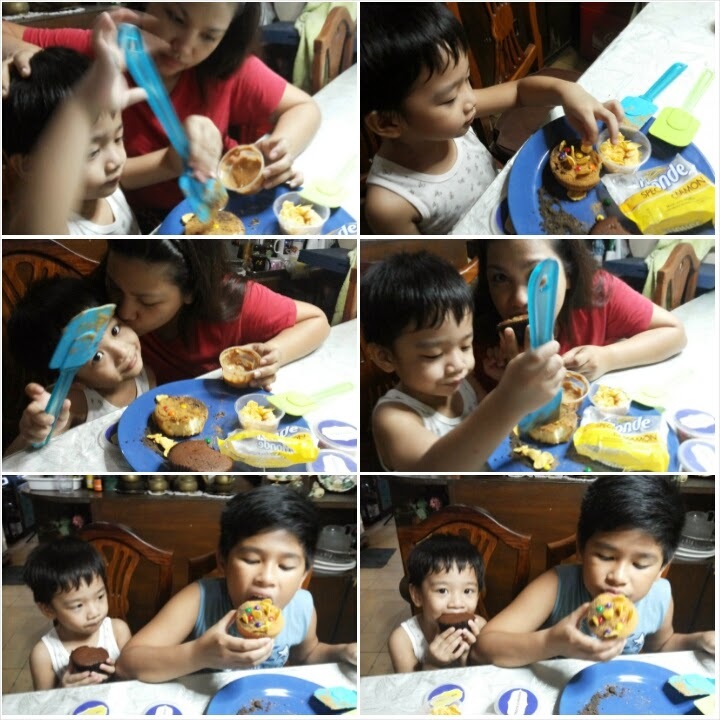 When my son and I tried the Mamon-It-Yourself decorating activity, we were both thrilled at how easy and fun it was! I thought to myself, it's definitely an activity that SHOULD replace the computer or X-box games he usually does at home. 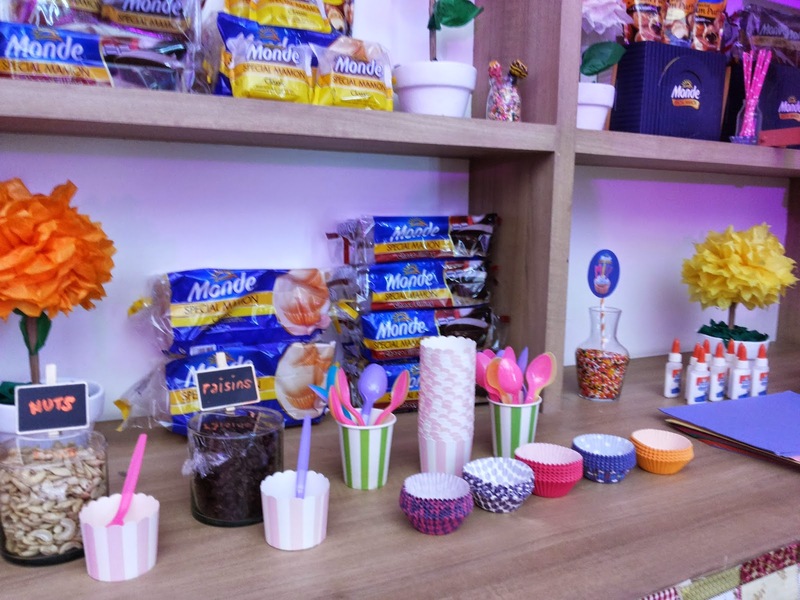 Also, the most fun part of the activity was eating these soft and yummy Monde Special Mamons, plain or decorated ones! 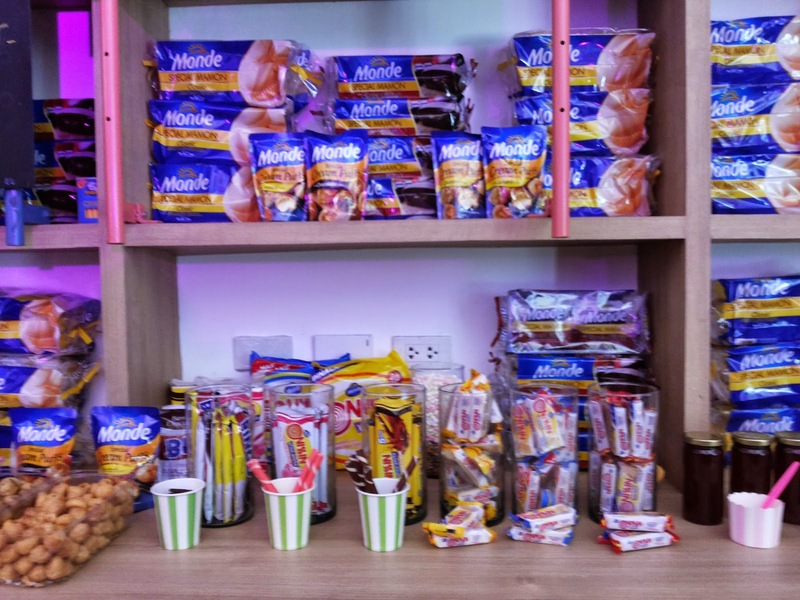 It's definitely delicious because Monde Special Mamon is made with real fresh eggs, imported wheat flour, and milk. Here's a short and SURPRISE video that Monde put together which made me cry! I'm sure it made moms in attendance of the event cry too!